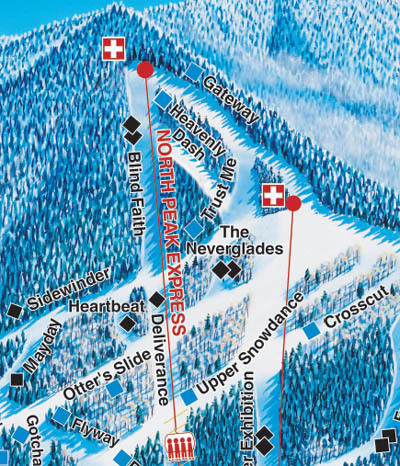 Chronically in financial trouble, another attempt was made to launch Ascutney into the class of the major resorts in its region. 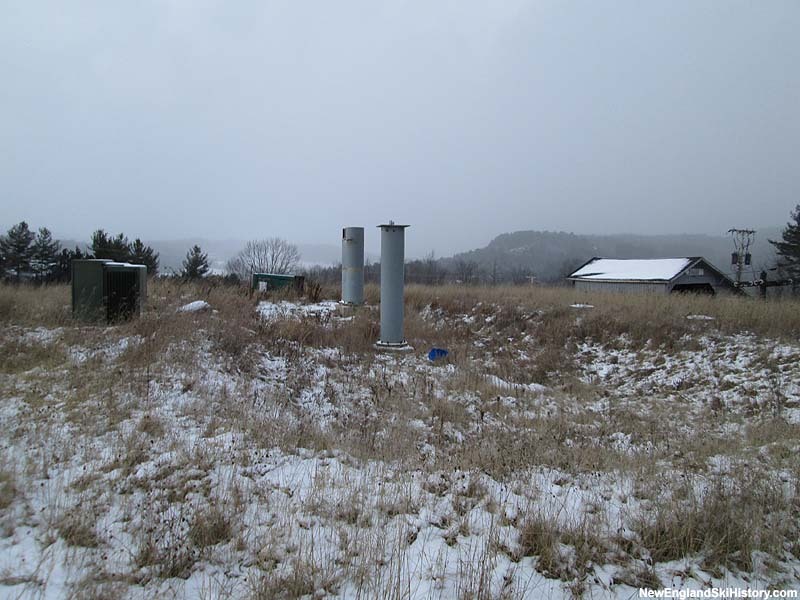 A five year expansion plan was started in 1995, culminating in 2000 with the expansion above the then-Summit Triple, thanks to an agreement allowing for expansion into the state forest. 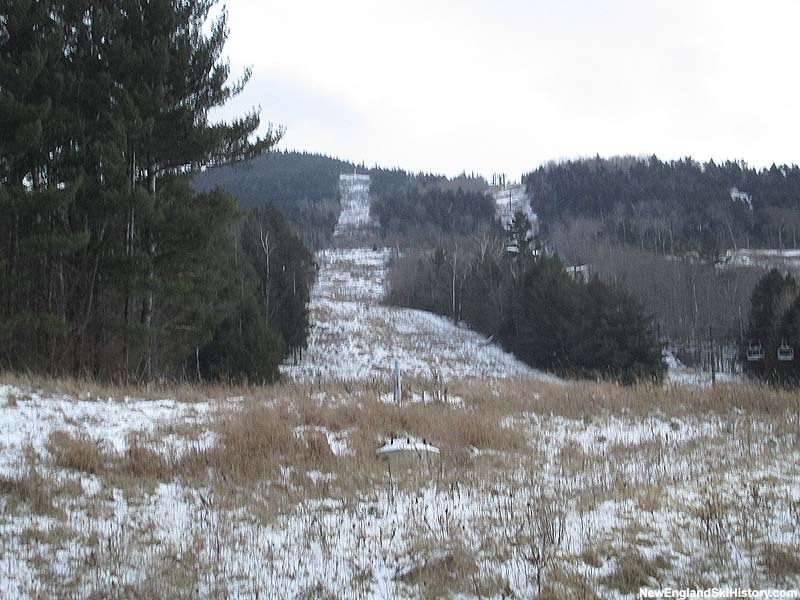 Known as the North Peak area, the $3 million expansion increased Ascutney's advertised vertical drop by nearly 300 feet to 1,800 feet (including the lower mountain novice area). 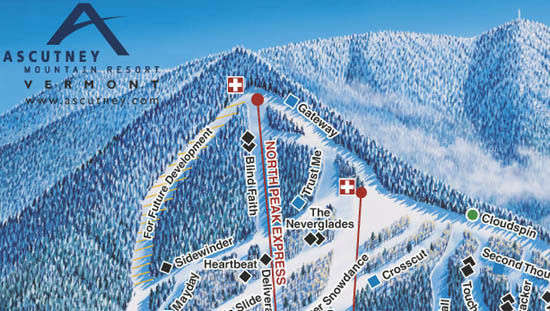 A new Garaventa CTEC detachable quad chairlift was installed, climbing 1,673 vertical feet. Five new trails were originally advertised, however only four would be opened initially (a short connector was added a few years later). A longer proposed trail remained on the trail map for about half a decade, prior to being removed without being cut or opened. 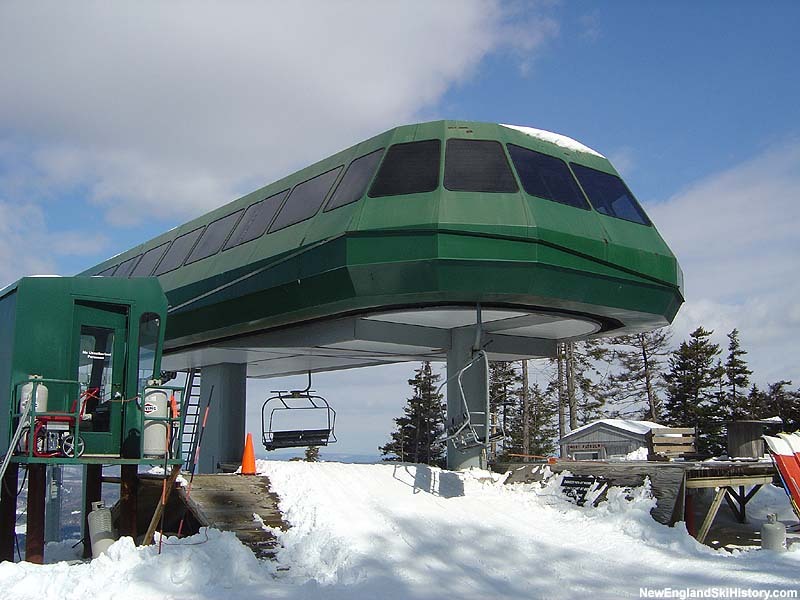 Though the quad provided a dramatically faster ride than the summit triple, it also increased operating costs dramatically. As a result, it was sometimes closed during non-peak periods. 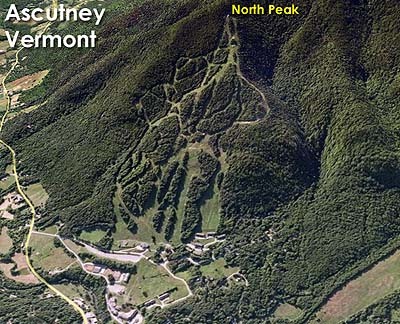 Crippling debt led to the closure of Ascutney following the 2009-10 season. Liquidation rumors quickly emerged. In early 2011, Burke was rumored to have a $1.55 million deal in place to purchase the high speed quad until removal costs were deemed to be too high. 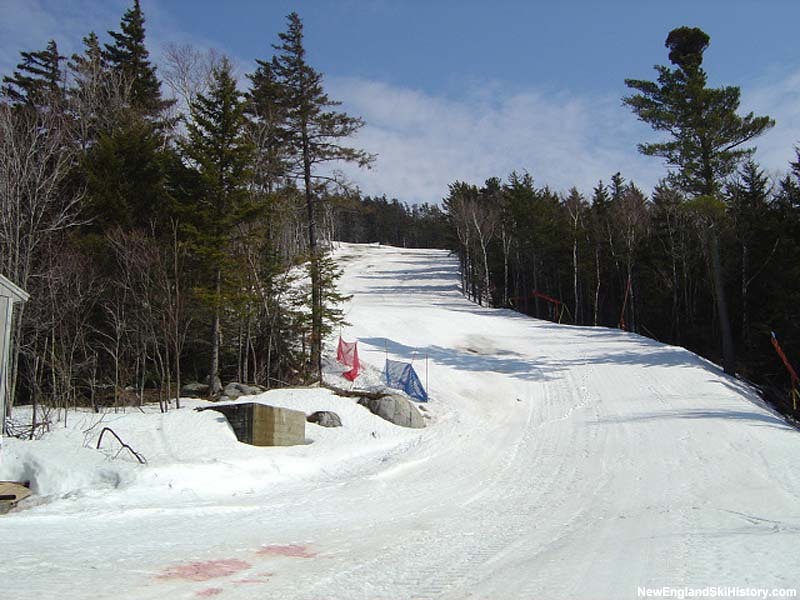 In 2012, the high speed quad was relocated to Crotched Mountain. As a result, should Ascutney reopen, the North Peak area could be abandoned.